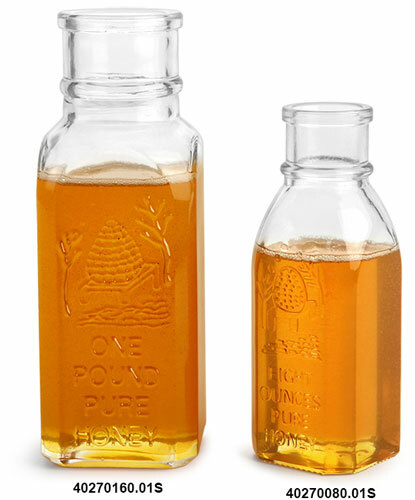 Our vintage looking clear glass muth style honey bottles will add an elegant feel to your product line. 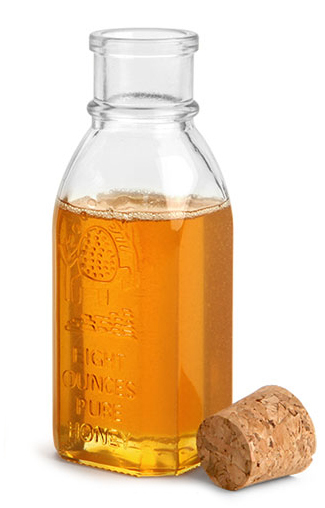 These glass bottles feature an embossed design on the side as well as a description of the size of the container. Cork stoppers are included.